'Hood Movement' is a collection of nine Construction Kits directed to Urban and Hip Hop style producers. You will find there highest quality sound, that you know from the best Hip Hop tracks. All samples were made with the highest attention to detail, with carefully selected and generated sounds, using the highest quality hardware. Grooving instrumentals, with hood melodies are perfect to make some hard life story telling tracks. Welcome to the hood! 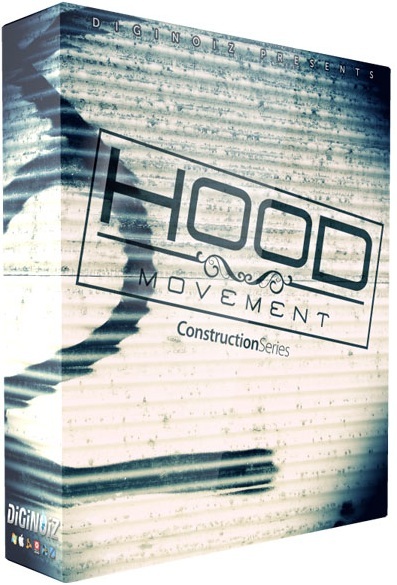 'Hood Movement' contains nine Construction Kits, over 1.45 GB, and 112 multi-format loops recorded between 89 to 110 BPM in the Urban, Hip Hop genre. 24-Bit WAV, REX, 24-Bit Acid, 24-Bit Aiff, 24-Bit Apple Loops, 24-Bit Reason 4.0 ReFill and 16-Bit WAV all ready to use in your favourite sampler or sequencer, both hardware and software, including Logic, GarageBand, Soundtrack, Digital Performer, Sony Acid, Ableton Live, Adobe Audition, Cakewalk Sonar, Pro Tools, Stylus Rmx, Emagic EXS24, and many more.